This MSG-2 Marfione / Strider Custom features an ergonomic, tactical build armed with a dual-action automatic mechanism. 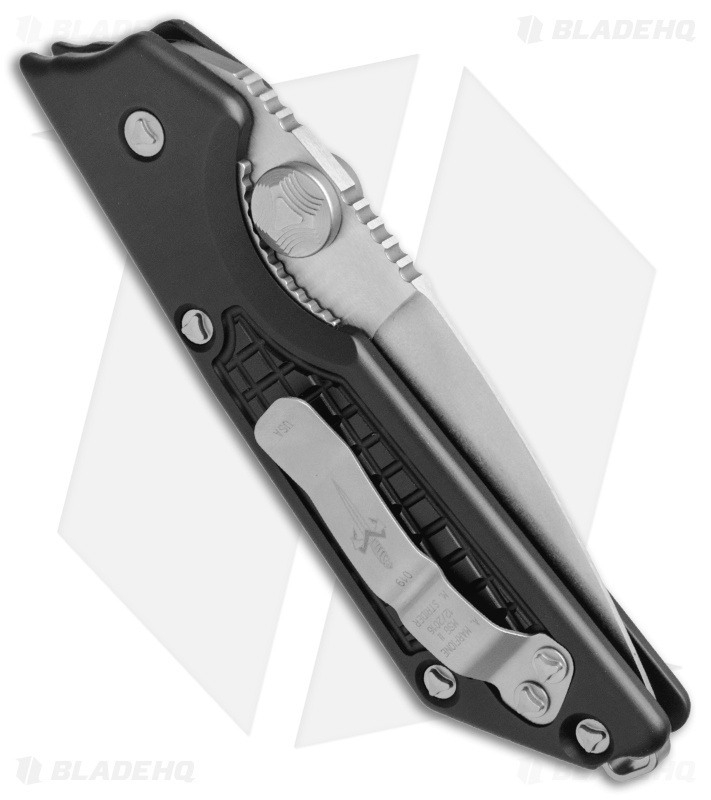 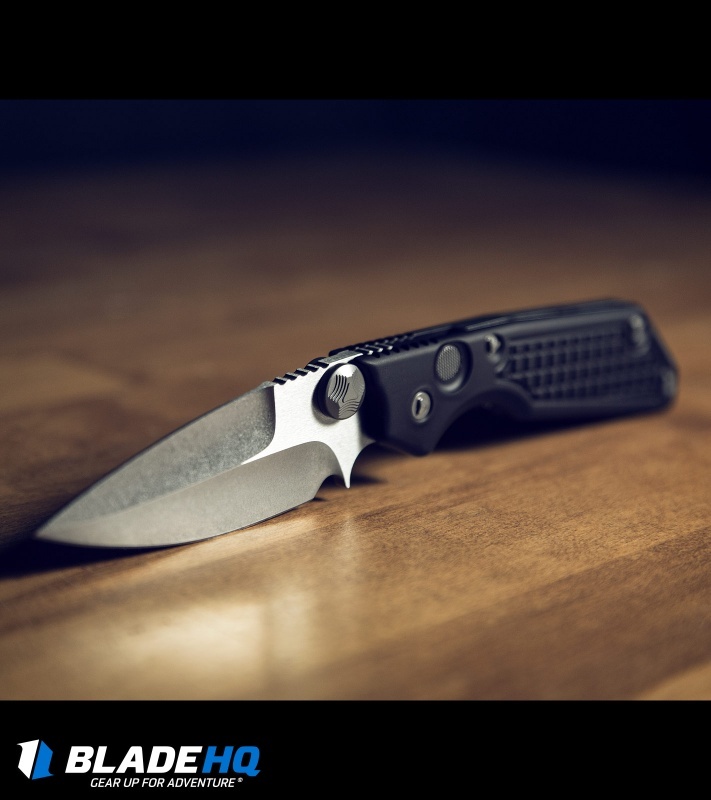 Its lightweight aircraft grade alloy handle has a black anodized finish and grip-enhancing knurling on either side. 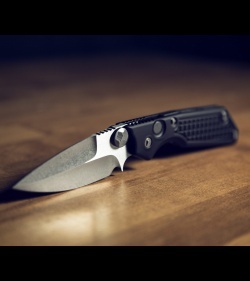 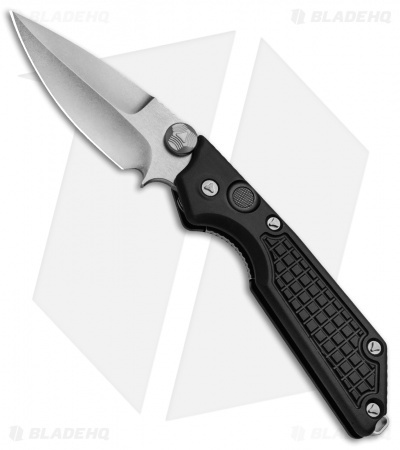 The blade is made from Bohler M390 steel with stonewashed grinds and satin flats. 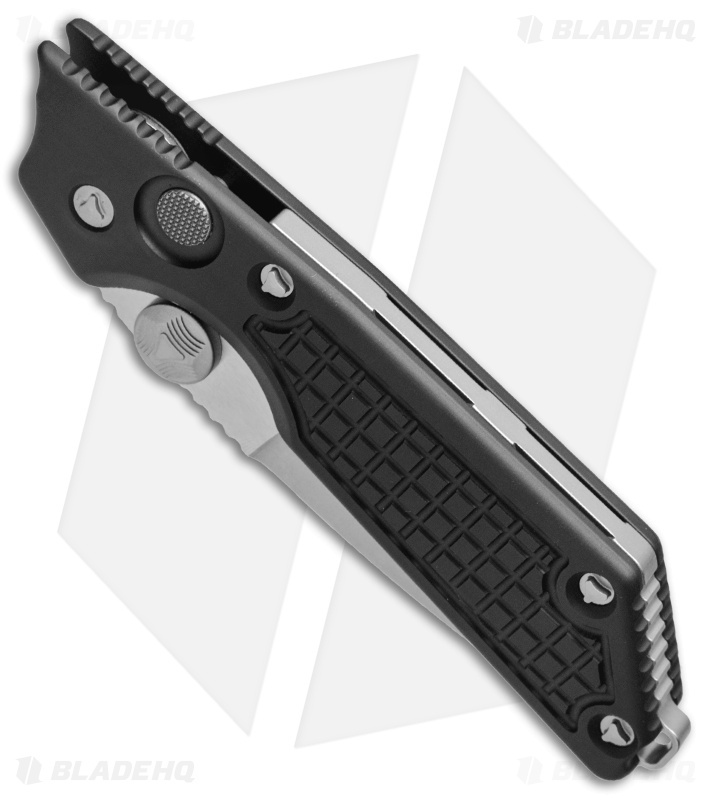 Manufacture date and serial number are engraved on the pocket clip.